The more I grow in my religious practice, the further I walk along this path, the more I realize that there’s a time to consider carefully and a time to jump off the cliff. I wrote about it in another post: overcoming my caution enough to be able to leap into the abyss and know I’ll be caught is not an easy thing. I’ve been able to do it from time to time; I’ve allowed myself to be broken down so I could be rebuilt. Hell, I’ve even helped with the rebuilding in the past and not just because Neb.y Set required it, but because I needed to see where the pieces went. I made that decision, and I jumped in without testing the waters. But this latest work…these latest tasks are strange to me. I know they fit the whole, and I know once all of the pieces are together I’ll probably have an “a-ha!” moment but now…now? Now I am hesitant and terrified, and I need to get past it. She Who Spins has been showing me a way forward that I cannot comprehend. I ask questions, and she shows me again. “There are holes,” she says. And I know there are holes, and I can see them and feel them, and I think I’m supposed to go through them but my gatekeeper god isn’t helping because it isn’t his work, and I know I have to fix them but I don’t know how, and I cannot figure it out. AUGH! So. I have difficult things in front of me. Some I know, and some I don’t. I can’t see what will happen when I jump, but I know I need to. Dithering and twittering and running in circles isn’t helping anything at all. I need to do this. So, what am I waiting for? No one is going to tell me when to start. No one is going to say, “Follow these steps and all will be well.” No one is going to talk about team efforts in this case, or synchronizing watches, or rendezvous points. 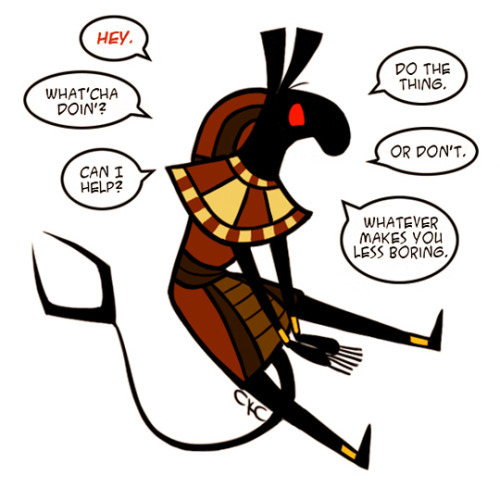 It’s just me, and my two deities, and endless patience and repetition until I leap. Now is the time. Time to move. Now is my zero hour. In a previous life (not a past life), I worked as an instructor for lifeguards. Part of this job was the teaching and certifying of potential candidates in CPR, and before we had AEDs (automatic external defibrillators – they make CPR so much easier) we taught the manual process. This required much emphasis of proper hand position because (1) CPR is very likely to result in broken bones (ribs, usually) if it is done correctly, and (2) the one bone you do not want to break during CPR is the xiphoid process. 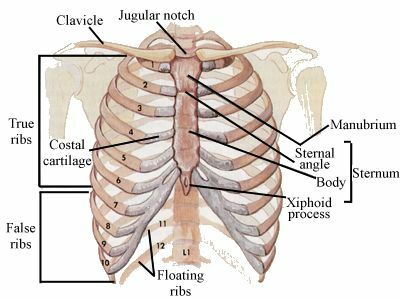 The problem with the xiphoid process and CPR is that incorrect hand positioning can break it off the sternum…and then you have this chunk of bone floating loosely inside the body and all sorts of wonderfully horrible things can happen. It’s not something you want to do to someone, nor is it something you want to have yourself. So, with CPR, caution is paramount. The fact that caution is so important in something I used to teach on a routine basis, and something I’ve (unfortunately) had to do for people more than once actually made it easier for me to embrace the precision and caution needed for my religious work for several of my gods. Their work involves so much shaking up and core-wrenching that it has become impossible for me to to approach it without making sure I understand exactly what I’m supposed to do and what the outcome is likely to be, and while doing it I aim to be meticulous. My gods approve of this – anything worth doing is, after all, worth doing well. On the other hand, I’m a lot less likely to jump when told to – hell, I ended up in a religious cul-de-sac for quite some time because I wasn’t able to trust the outcome of what I was being asked to do. Even when I gave in, I worried about the work for two months prior to the start date I’d accepted…and I still worry about it now. This is not approved worrying, and although so far I’ve gotten nothing but responses of amusement and affectionate exasperation when I hedge and try to delay, I know that a day is coming when I’m going to be told to take my finger out and do X already. The more I think about this, the more I wonder if there’s a way to break whatever religious xiphoid process I still have. If I break it, detach it from the rest of my religious self, then I won’t have to be as cautious because it will be done. And unlike breaking the physical one, which has all kinds of awful consequences, breaking the religious one could mean being free. Free, finally, to take the leaps I need to take without checking to see what I’ll land on. Free to do. Free to be. Sandpaper skin, brushed by wind. Sit and wait; meditate on desiccation and preservation even as transformation overcomes. Things change the need; the choices made are not what they seem. Looking down no green is seen. Act is measured by action. Moving from east to to west, West seems best. Shadow and light interplay, intertwine, for what are they if not two sides of the same coin? Ripples on the surface are another kind of wave. Move with the wind – bend if you can, break if you must. When time comes, all will be put right. Ordeal is just another kind of being. When I See, I am set Free.